Two siblings can hardly wait for their preemie sister comes home from Canada so they can hug her. 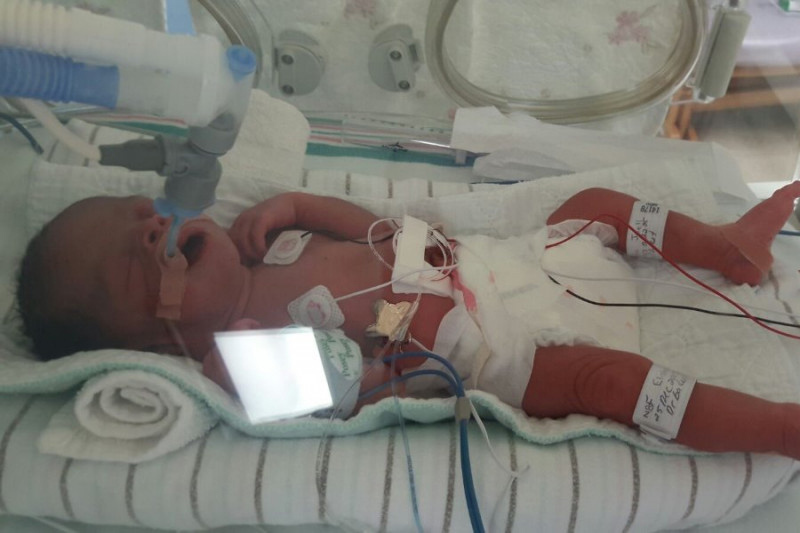 Kee-Ijah Bailey was born prematurely on Christmas Day, and she and her mother, Elisha Joell, will travel via air ambulance to the Sick Kids Hospital in Toronto to receive emergency medical care. Ms Joell told Bernews to have a Christmas baby was a special joy and the best gift a parent could receive. She said. “The doctors told me she was a preemie and her lungs were not developed yet so she would have to go into the incubator. “They would have to put her on a breathing machine and give her some special medication which would help the lungs to open and close. Ms Joell said after more than a half day’s treatment the doctors felt she wasn’t progressing, so they gave her a second dose. A GoFundMe campaign was started to help pay for the medical treatment, and $15,783 has been raised so far. Ms Joell said “she is very happy and overwhelmed” by the outpouring of one from the Bermuda community. She said that the air ambulance would cost around $50,000 with the hospital care in Toronto being an additional cost. Her two other children in Bermuda are dealing with the stressful situation as well as can be expected.